From circles to skylights to arches, numerous odd-shaped windows grace a variety of homes these days. They’re beautiful and add light and talk value, but they can be difficult to cover. 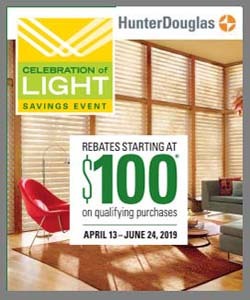 Luckily, Hunter Douglas offers many solutions, depending on your needs, and at Windo VanGo here in Baltimore, we’ll be more than happy to help you determine what the best choice is for your odd-shaped window. Contact one of our sales associates today! 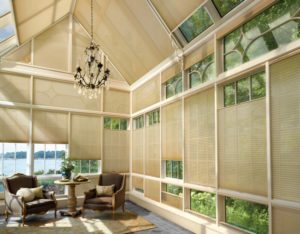 Many of our customers offer different reasons for wanting to cover their windows, but we’ve found that it comes down to three main points: Controlling light, having more privacy, and enhancing décor. Our professional staff can help you get inspired by showing you an array of styles, colors, and options that will not only take care of your needs but stay within your budget constraints too. Read on to learn about some solutions for common specialty window shapes.